As curator, writer, publisher and designer, Juliana Engberg has been described as ‘an impeccable eye wedded to a keen intellect’ by influential Artforum magazine. She has worked with some of the leading international artists of the last and this century and is the Artistic Director of the 19th Biennale of Sydney: You Imagine What You Desire, which is presented from 21 March – 9 June 2014. 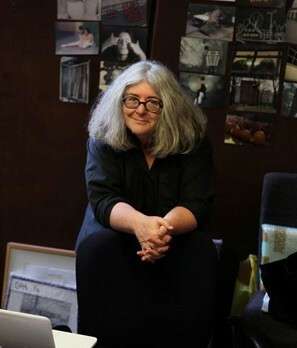 Engberg is currently Artistic Director of ACCA (Australian Centre for Contemporary Art, Melbourne), where she has commissioned and curated numerous exhibitions, including: Pipilotti Rist: I Packed the Postcard in My Suitcase; Yael Bartana: TRILOGY; Nathan Coley Appearances; Mortality; Joseph Kosuth Texts for Nothing, Samuel Beckett in Play; Plenty Ought To Be Enough: Barbara Kruger and Richard Billingham: People Places Animals. In 1999, she was Artistic Director of the internationally acclaimed Melbourne International Biennial 1999 Signs of Life and Senior Curator of the Art & Industry Biennale, Christchurch, New Zealand in 2002. She has worked as Senior Curator at the Heide Museum of Modern Art, Melbourne and was Assistant Director of the Monash University Gallery, and Director of the formative contemporary art space, the Ewing and George Paton Galleries, The University of Melbourne. Engberg was the inaugural curatorial resident at Spike Island, Bristol, England, from 2000–01. Engberg is Adjunct Professor in Architecture, Design and Art at RMIT University, Professorial Fellow in the Faculty of Art, Design and Architecture at Monash University, and has been a Visiting Critic at the Glasgow School of Art, Scotland, and a visiting juror for the Rijksacademie in Amsterdam. Every two years, the Biennale of Sydney is presented free to the public over a twelve-week period. It was the first biennale to be established in the Asia-Pacific region and, alongside the Venice and São Paulo biennales and documenta, is one of the longest running exhibitions of its kind. Since its inception in 1973, the Biennale of Sydney has provided an international platform for innovative and challenging contemporary art, showcasing the work of nearly 1600 artists from over 100 countries.